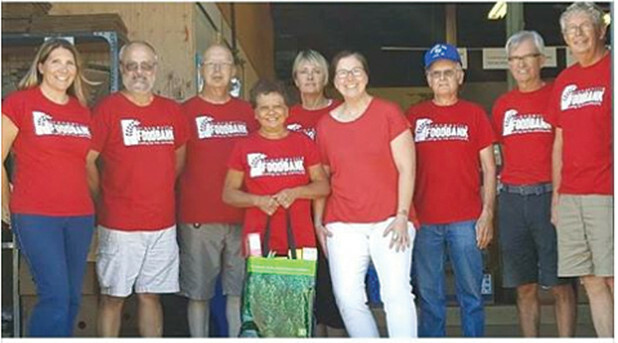 At its last sitting, Dufferin County Council proclaimed September as Hunger Awareness month, and since then the Orangeville and Area Food Bank has continued to source ideas to raise funds and food for individuals and families in need. The “One-Bag Challenge” is a new idea Food Bank Director Heather Hayes hopes will help to stock the shelves. The recent renovations to reconfigure the space at OAFB gives the organization more capacity to share fresh milk, eggs, vegetables and proteins like meat. Those fresh produce purchases are possible with community support of cash donations, as well as community gardens and shares from Shaw’s Creek Community Supported Agriculture. The OAFB is committed to their vision statement of a community without hunger, but their shelves are very low at this time of year. The food bank is asking for the community to help to fill the shelves as the need in Orangeville continues to grow. Visit www.facebook.com/OrangevilleFoodBank for more details and take the One-Bag Challenge – you may be feeding a friend.